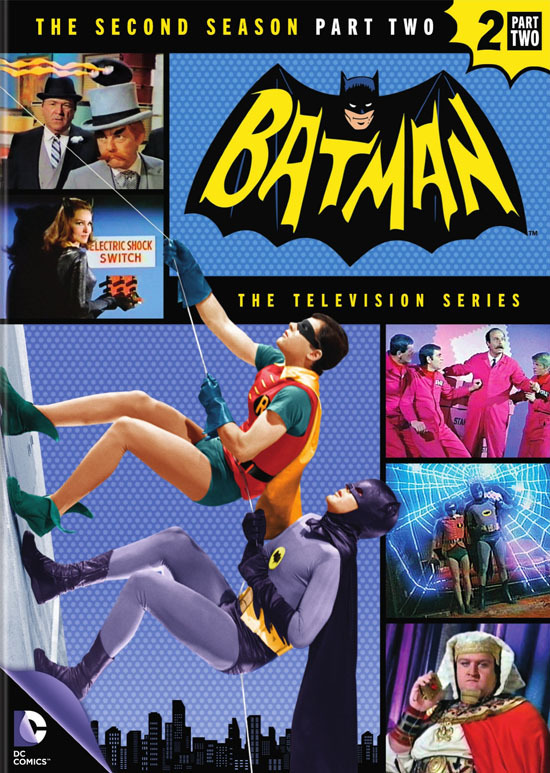 ‘Batman’ Season 2, Part 2 Available on DVD!!! The 1960’s brought us a lot of iconic images. It was the summer of love, The Beatles, free love, peace, JFK and the birth of Paul Newman! 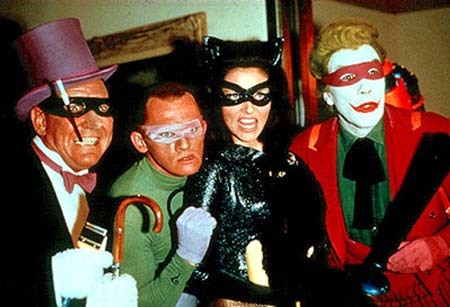 Looking at TV of the time one show stands out, why it’s the ‘Batman‘ series, of course! A fantastic take on the popular comic was embodied for the first time on screen. Adam West (Batman) and Burt Ward (Robin) threw “Pow!” and “Zap!” into daily verbiage that I, at least, still use today. Warner Bros. Home Entertainment is announcing the release of the final 30 episodes from the second season on DVD on July 14, 2015. This series reaches such a diverse audience, it’s perfect for any fans of the caped crusader, no matter their age! Joining West and Ward is the devilish Cesar Romero as The Joker, the sultry and vixen-like Julie Newmar (Catwoman) bringing the characters we know and love, or hate, to life. Check it out on July 14, 2015! ‘Batman: Season Three’ Landing With a BANG!!! This entry was posted on Monday, March 23rd, 2015 at 12:11 pm	and is filed under Comics, News, Television. You can follow any responses to this entry through the RSS 2.0 feed. You can skip to the end and leave a response. Pinging is currently not allowed. « WWE: SMACKDOWN 3/19/15 Recap! Intercontinental Gauntlet Match!